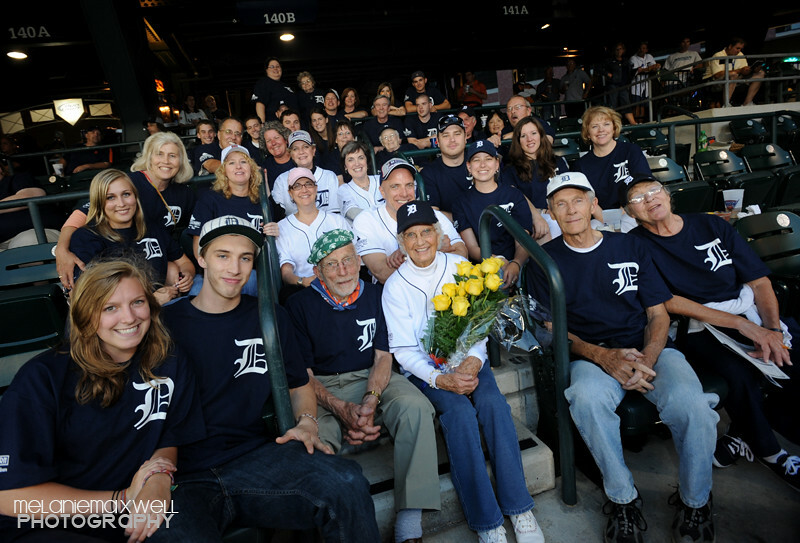 Marge Colburn is turning 90! 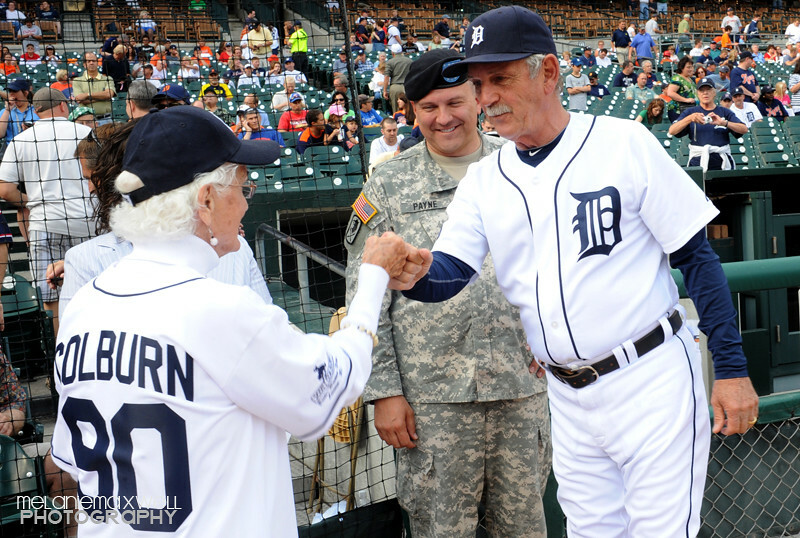 To celebrate her birthday and devotion to her favorite baseball team, season ticket-holder and super fan, Tiger Marge was invited to throw out the first pitch at last Tuesday's game at Comerica Park. 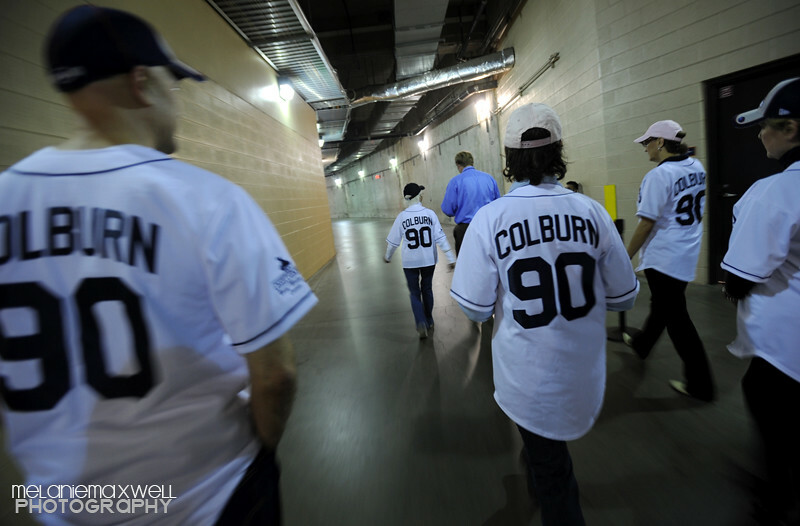 Sporting special Tigers "Colburn 90" t-shirts, Marge, her four children, Elizabeth, Sarah, William and Mary, and a fan club of 35 people gathered to celebrate the big day. 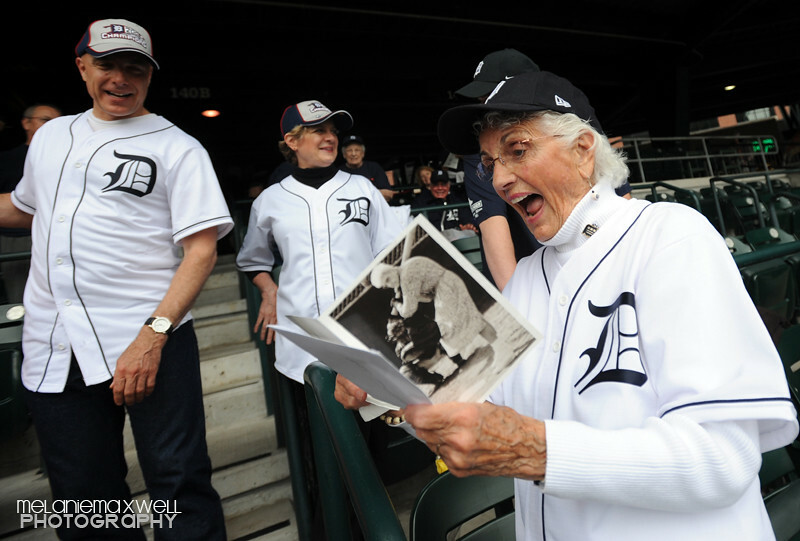 Marge reacting to a birthday card signed by former Tiger and Hall of Famer Al Kaline! 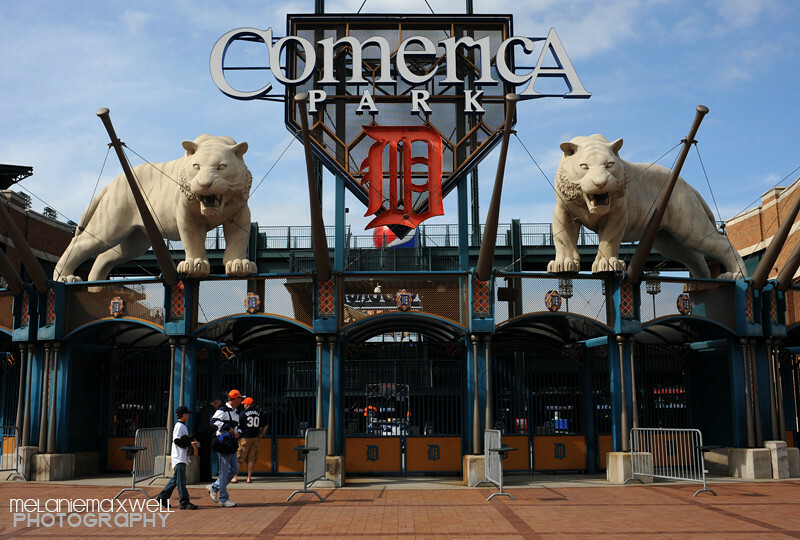 In the underbelly of Comerica, on our way to the field. 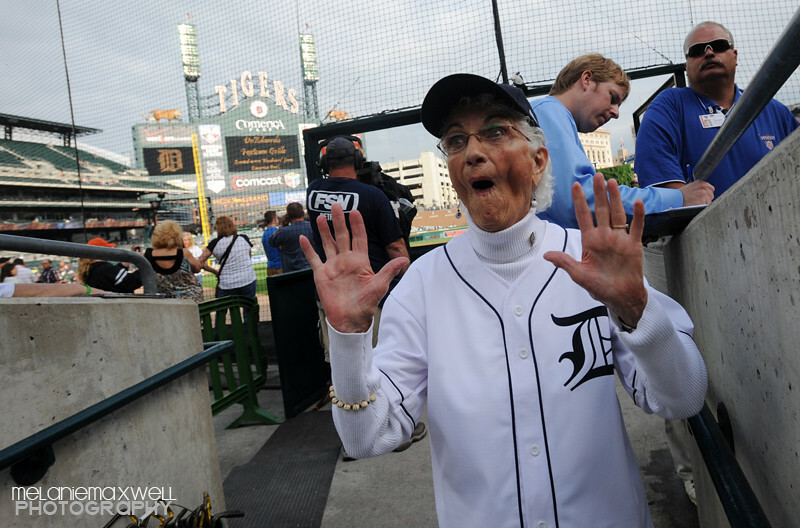 Reacting to her fans as she waits to enter the field. 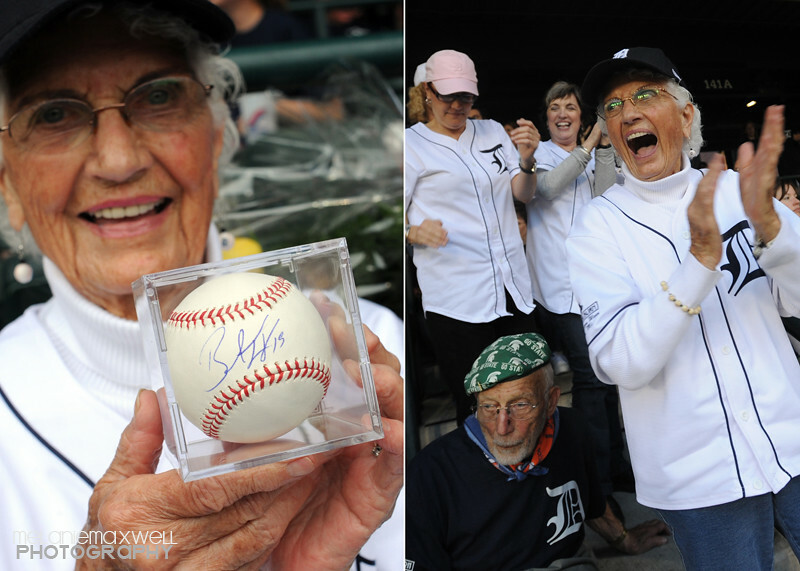 Left: Marge holds the ball she had signed by her favorite player Brandon Inge. 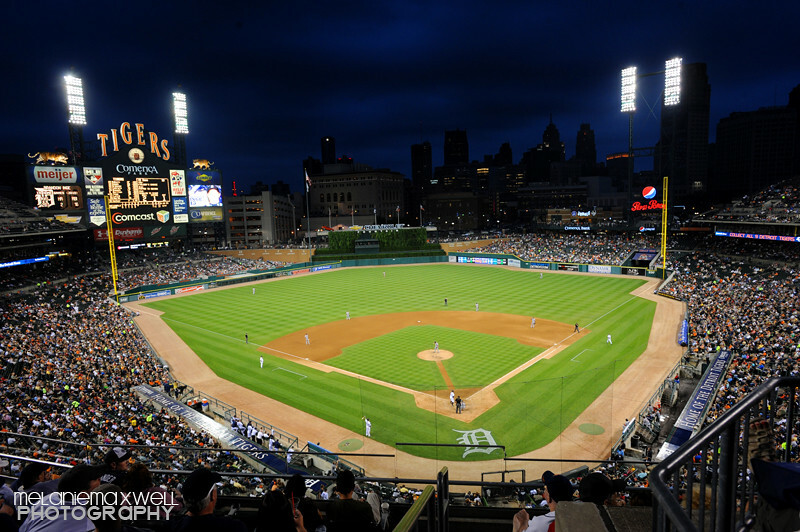 Right: Celebrating a home run!